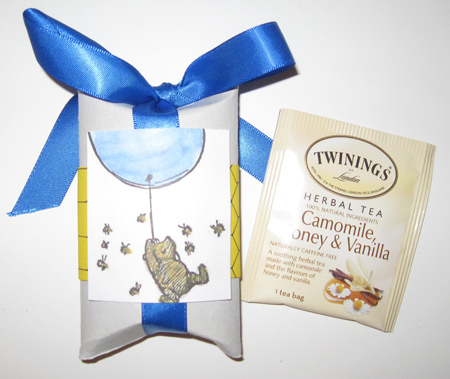 I used this simple pillow box tutorial to create this little pillow box to hold some tea for a swap. 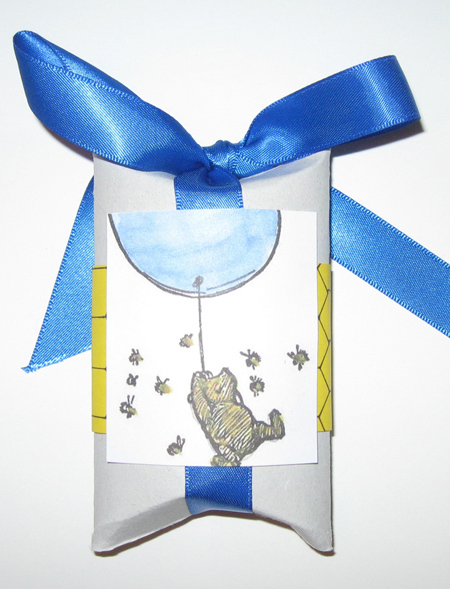 This one is Classic Pooh-themed, so I found some honey-flavored tea to put into it. 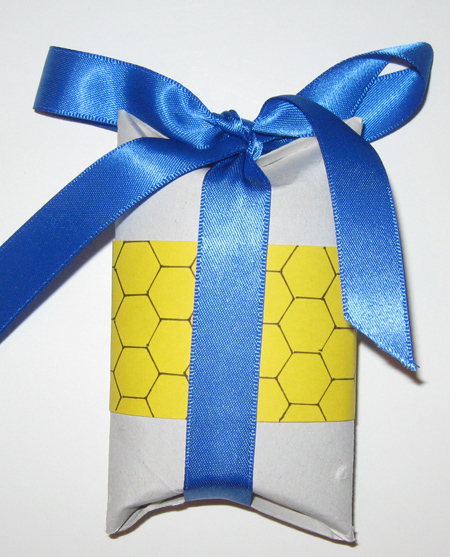 I drew a honeycomb pattern on it.